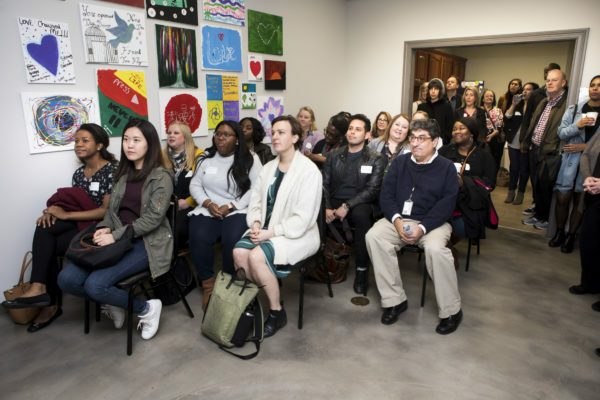 Chancellor Nicholas S. Zeppos hosted a group of more than 30 students, faculty and staff for a Chancellor’s Charter tour March 15 exploring topics such as human trafficking, homelessness and addiction and recovery. Now in its fourth year, the Chancellor’s Charter series is designed to focus on community engagement and lifelong education. 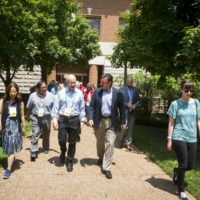 This year’s tour provided attendees with the opportunity to learn more about Vanderbilt’s deep ties to local nonprofits throughout Nashville and how they are actively working to create positive change for many members of the community. Vanderbilt Assistant Professor of Political Science Allison Anoll said the trip inspired her. 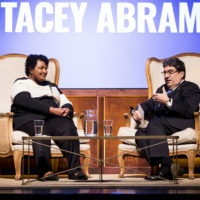 The tour began with a trip to End Slavery TN, a Nashville-based nonprofit dedicated to promoting the healing of human trafficking survivors and strategically confronting slavery in Tennessee. Founded in 2008, the organization provides specialized case management and long-term, comprehensive, trauma-informed aftercare for survivors of human trafficking. End Slavery TN also works to educate and equip between 8,000-11,000 professionals and community members each year on how to identify and get appropriate help for human trafficking victims. While at End Slavery TN, Chancellor’s Charter participants toured the facility, learned about ways they can empower survivors, and heard from the organization’s incoming CEO, Marjorie Quin, who in 2010 led a research partnership between Vanderbilt and the Tennessee Bureau of Investigation that contributed to more than 50 pieces of legislation aimed at strengthening the state’s response to human trafficking. 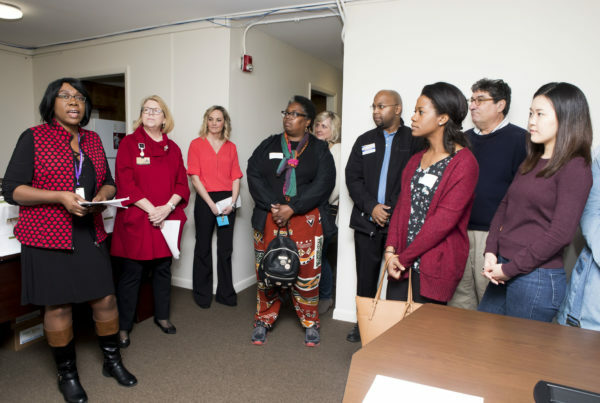 The group also visited Renewal House, a nonprofit organization that provides comprehensive, evidence-based addiction treatment and recovery programs for women and their children, including services such as individual and group therapy, vocational support, parenting skills, relapse prevention, spirituality and more. 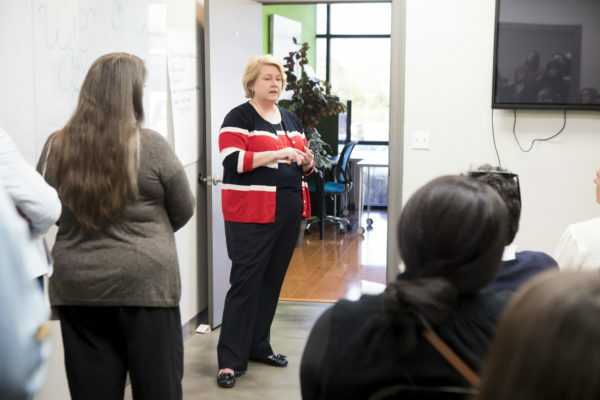 CEO Pamela Sessions gave an overview of the organization’s mission and spoke about the success of their programs. Senior Associate Dean for Clinical and Community Partnerships Pam Jones, who serves on the board of Renewal House, joined the group for a tour of the Renewal House campus. 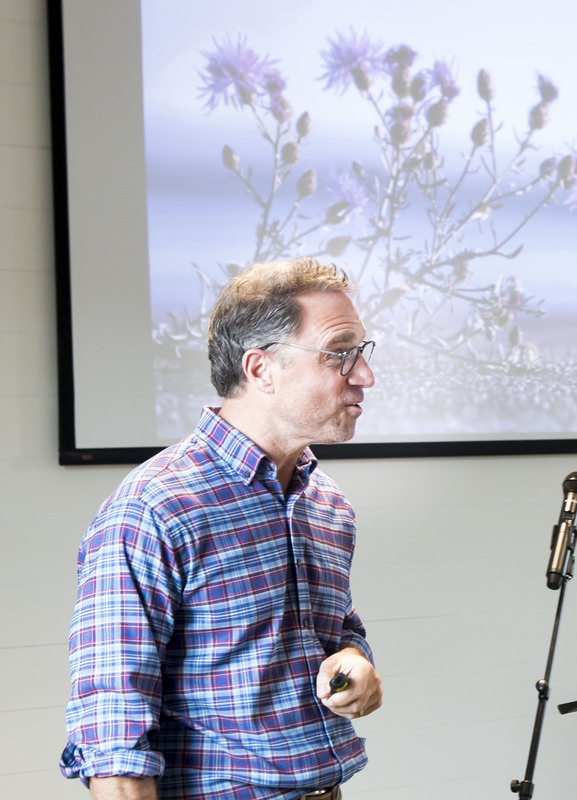 The third stop of the daylong tour was at Thistle Farms, where CEO Hal Cato spoke about the organization’s work supporting women who have survived human trafficking, prostitution and addiction. Founded by Vanderbilt Divinity School alumna the Rev. Becca Stevens in 1997, the Thistle Farms model of recovery has now been replicated by more than 40 other organizations across the nation. 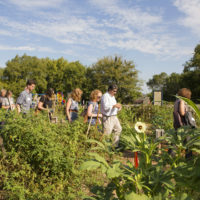 Thistle Farms also manages two nonprofit social enterprises that provide women survivors with a pathway toward economic independence: Body and Home, a natural bath and body product brand; and The Café at Thistle Farms, a restaurant and event space serving locally sourced food. 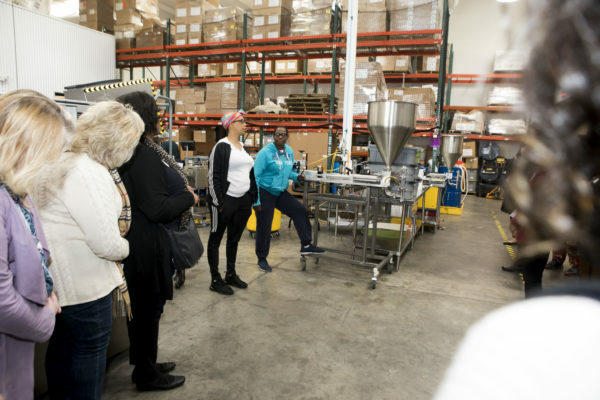 While touring the production facility, the Vanderbilt group saw how Thistle Farms’ hand-poured products are made and heard stories about the experiences of the women working there. 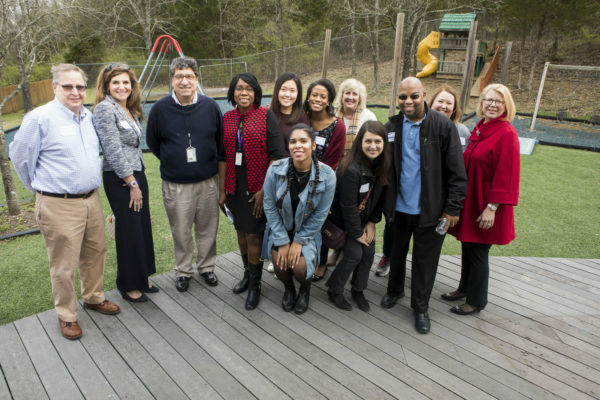 The fourth stop of the Chancellor’s Charter took the group to the Village at Glencliff for a presentation from Open Table Nashville. This interfaith community-based nonprofit focuses on disrupting cycles of poverty and providing education on issues of homelessness. The Rev. Ingrid McIntyre and the Rev. Lindsey Krinks, who is a 2013 Vanderbilt Divinity School alumna, hosted the group for the visit, which included a discussion of Nashville’s affordable housing crisis and a look at the development of the organization’s micro-home village. The day concluded with a stop at Dismas House, an organization that supports former offenders through the development of a supportive community. CEO Gerald Brown shared the nonprofit’s mission, programming, success stories and its historical ties to Vanderbilt. Dismas House was founded in 1974 by a group of Vanderbilt students and the Rev. John Daniel “Jack” Hickey, Vanderbilt’s Catholic chaplain at the time. 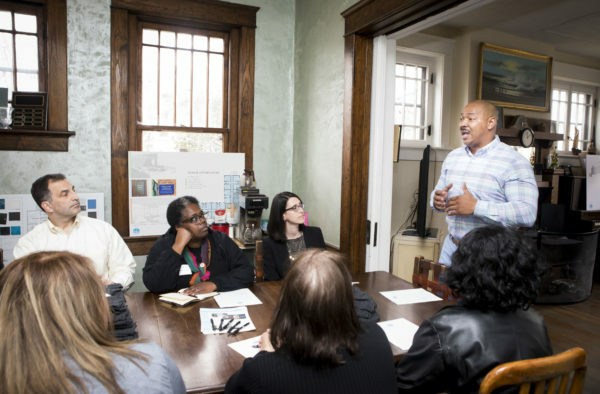 During the stop, participants heard personal narratives from current and former residents of Dismas House. The next Chancellor’s Charter tour is expected to take place in the fall.